Stories of the abuse of women are as old as . . . well at least as old as the Book of Genesis. In today’s Old Testament reading, we hear the story of Susanna. She refused inappropriate sexual advances, had her reputation destroyed, was arrested and condemned, and even had her life put at risk. As she was being led to her execution, a young boy named Daniel spoke up with courage and acted with patience and wisdom to find the truth and prove her innocence. It takes strength in virtue to stand up for injustice in our midst. Scripture says, “God stirred up the holy spirit” in Daniel—a young boy, not even a man yet. He was willing to step out of the audience and engage with the accusers to find out the truth. How often do we stand to the side and witness small acts of injustice because we think they are insignificant, or we turn from larger acts of injustice because we don’t think we can make a difference? Sometimes we stay quiet because we don’t want to make people upset or uncomfortable. We warp the notion of love of neighbor when we tolerate a friend’s gossip or criticism of another out of fear that we will be seen as judgmental. We worry too much about being kind to the wrong doer, rather than defending the innocent. Daniel shows us how we are to use the spiritual gifts which God gave him as an Old Testament prophet and which we also receive at Baptism. Those gifts are intended to bring God’s glory in this world, here, today, when the opportunity arises. 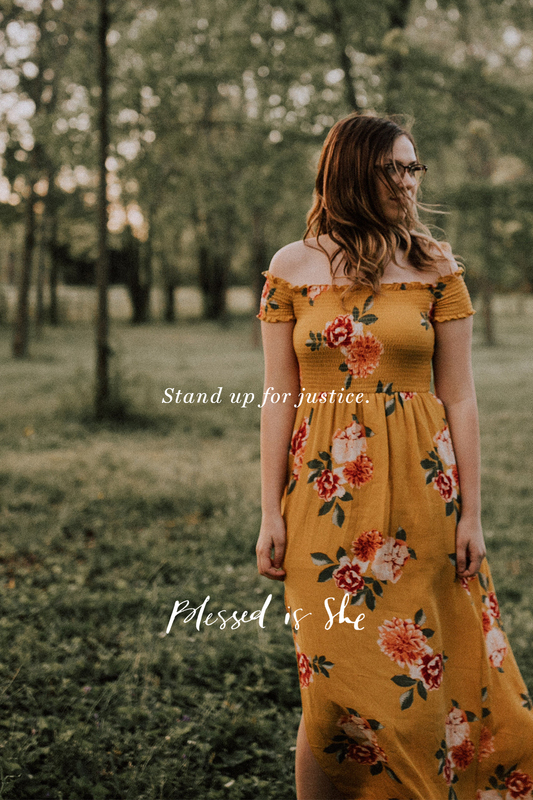 Next time you find yourself in the presence of gossip or slander, think of Daniel and Susanna and stand up for justice. Hold your friends accountable to a higher standard. Let’s hold ourselves there, too, sister. Want to learn more about what the Catechism teaches us about our Baptism? Dr. MaryRuth Hackett is the host of the podcast Parenting Smarts. She loves historical fiction, dark chocolate, watching her children play soccer, a good cup of coffee (decaf please) and the quiet of the early morning. She holds a PhD in Educational Psychology and has a passion for helping parents understand the way their children grow and develop. You can find out more about her here. She is the author of our Blessed Conversations: Leader Guide found here.